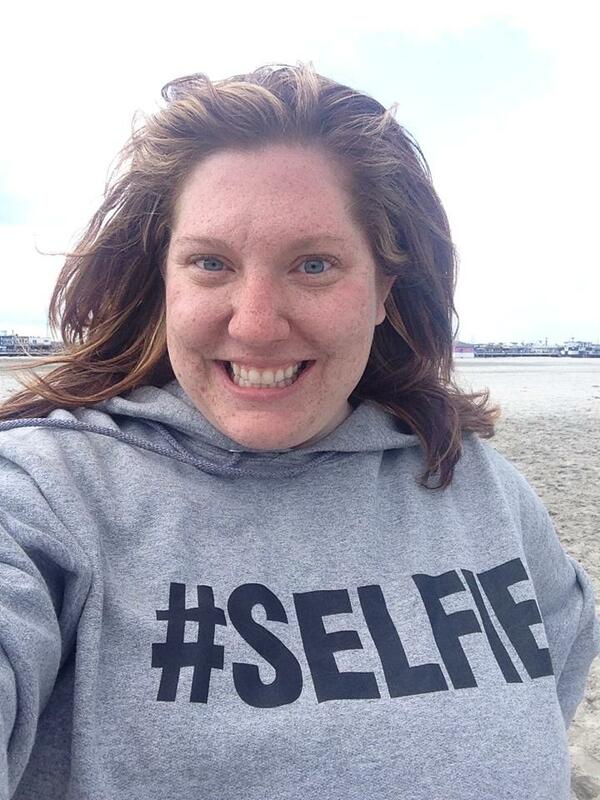 Why yes, I do own a #selfie sweatshirt. Originally posted on Huffington Post on 9/29/15. For anyone who knows me, their first reaction to this article is that it is being penned by a hypocrite. Rightfully so I am a notorious shutterbug and have been since the days of disposable cameras during junior high. At my parent’s house, there are shelves with albums containing photos taken from a mix of disposable cameras and early digital cameras. My photo obsession was escalated when I converted to the iPhone in 2011 and entered the wonderful world of selfies. The iPhone may have helped me document the moment more efficiently, but not without consequences. Most noticeable, my borderline obsession of capturing the moment has caused me on multiple occasions to be removed from it instead. Perhaps this newfound awareness is divine inspiration because it became clear thanks to Pope Francis. Watching the media coverage of Pope Francis’s visit to the United States began this reflection of ‘selfie’. Being in the presence of the most revered spiritual leaders in the world is one of those once in a lifetime, indelible moments, so it is understandable that there is a strong desire to capture the moment. 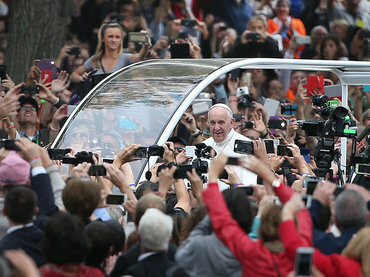 While watching the Papal festivities on television, there were parts of the footage where Pope Francis could not be seen by the network camera because of the amount of tablets, phones and cameras being held up by spectators. Even priests that were seated by the alter snapped photos as Pope Francis performed the rites of the Catholic mass. Keep in mind, these are the people who waited countless hours on their feet to meet Pope Francis, and are most likely devout members of the Catholic church, who believe He is the closest thing humans have to a Earthly connect to Jesus Christ (thank you 16 years of catholic school). After snapping one or two photos, the reverend thing would have been to put down the iWhatever and bask in the moment, especially if the leader of your faith is close enough to touch. All I could hear in my mind was the high pitched shrills from the outraged nuns that oversaw my catholic education, knowing that somewhere they are clicking their tongues in disapproval with their habitats all in a bunch. Of course these self-appointed paparazzi have a number of up close shots of Pope Francis, but the quality of their photo is probably higher than their actual recollection will be of the experience. Will they remember the sounds of excited chatter or the singing of the beautiful choir that served as the soundtrack of their momentous meeting? Closing their eyes to relive the event, their memories of encounter with Pope Francis will be through an electronic screen instead of absorbing in the meeting without a barrier. Honestly, in the midst of frenzy and anticipation of such an historical moment chances are my finger would be glued to the shutter button. Having the opportunity to observe the sea of technology eclipse Pope Francis illustrated the undeniable truth that being present is an art lost on so many. And not just millennials. No generation was exonerated snapping away with the Holy Father only feet away. Although they do not compare to the memorableness of the #PopeinPhilly experience, there have been a handful of recent events that I experienced in a Facetime-esque way rather than in real time. Photos of recent bridal shower, a friend’s birthday party, and even a play date with my 6-year-old niece are stored on my camera roll and have been posted on my newsfeed, but at the cost of being distracted at what was happening right in front of my face. When my niece looks back on our times at the playground or the amusement park together, I want her to remember the smile she brought to my face, not the iPhone screen covering it. This is the time to challenge myself to follow the advice that fills the quotes board of my Pinterest — be present in the moment. With two of my dear friends weddings coming up, along with the holiday season festivities fast approaching, I am going to try my hardest to lose myself in the moment, rather than lose the moment to a selfie. Of course there will still be photos to be taken, but perhaps only a handful of quality shots then mindfully putting the camera down. Instead of relying on pixels to preserve memories, I will attempt to commit to the actual process of memory making by internalizing the sights, sounds and feelings, which will hopefully provide me with a sustainable, collection of picture-perfect recollections independent of a memory card.